Your veil is amazing. 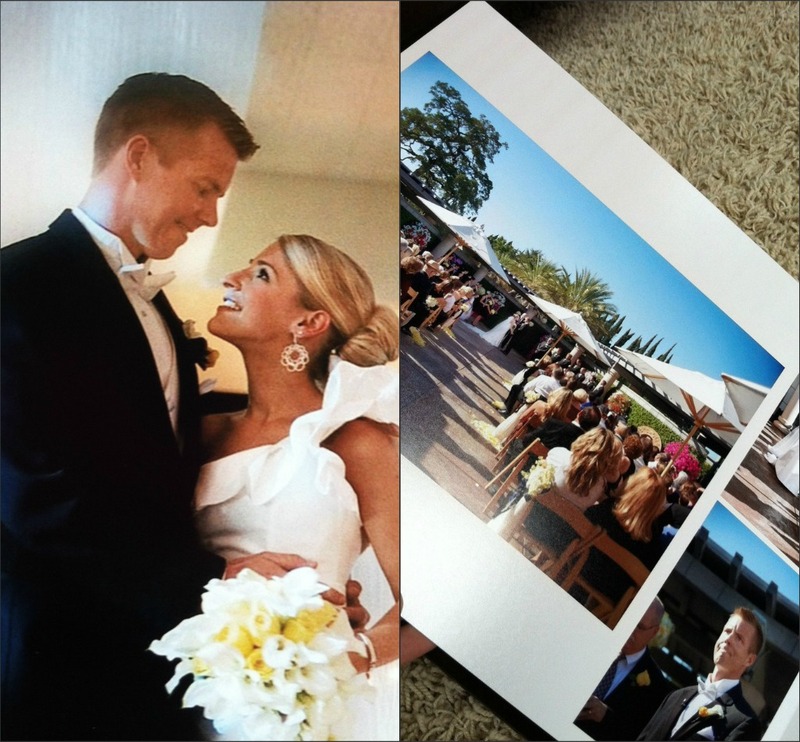 Such beautiful photos and wedding day! Absolutely stunning! 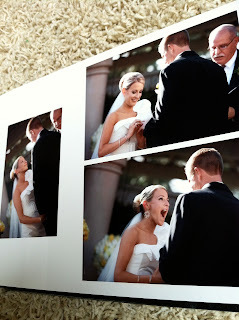 You, the photos, your whole wedding, everything! Lovely!!! And I'm glad we're not the only ones who hadn't finalized our wedding album from 09.05.09 until years later =) Truly gorgeous. As much as I like my wedding album and am so glad I have it I have to admit it's sitting in a bookshelf still in it's lovely box and we've never looked at it after that first time we went through it when we got it a year and a half ago. I have no idea if I put it out on my coffee table or somewhere visible if I would look at it more but I would definitely suggest somewhere such as a coffee table if you want guests to flip through it. Oh my gosh... your dress is one of the most gorgeous dresses I have ever seen and looked SO beautiful on you!! I can tell your book is beautiful as well and love how it turned out :) You'll definitely have to keep it propped up on a special bookcase or something! Your wedding was beautiful!!! It looks like it was a fairy tale wedding, like something you would see in a movie!! I really love your dress and hope you kept it for your daughter to wear some day! How beautiful and your hair was just gorgeous...also love the veil flowing in the first pictures! Stunning! Gorgeous! 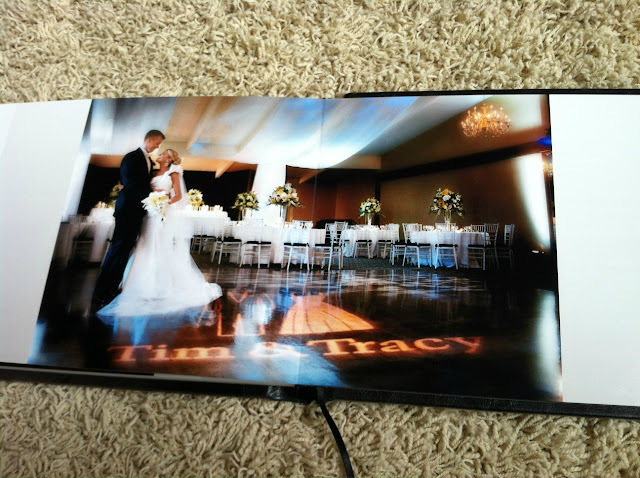 Your pictures are stunning Tracy ~ what a great keepsake! Stunning!! I love it! We have one similar and is so fun to look through! You are beautiful. Gorgeous! Has it really been 2 1/2 years?? Seems like you were just planning! As for where we keep ours...in the box, on top of a dresser. How bad is that?? I hate to keep it out though. Especially now that I have sticky, goobery toddler hands to worry about all the time! wow, these pictures are STUNNING. you are SO beautiful, and your dress is to die for! LOVE it! Wow your wedding pictures are beautiful! the cover page is amazing! Gorgeous! I love the one of you standing in the doorway, you look like a model! New to your blog and excited to follow! I definitely remember your wedding. You looked so stunning. Oh my goodness Tracy these are beyond beautiful! Very beautiful! 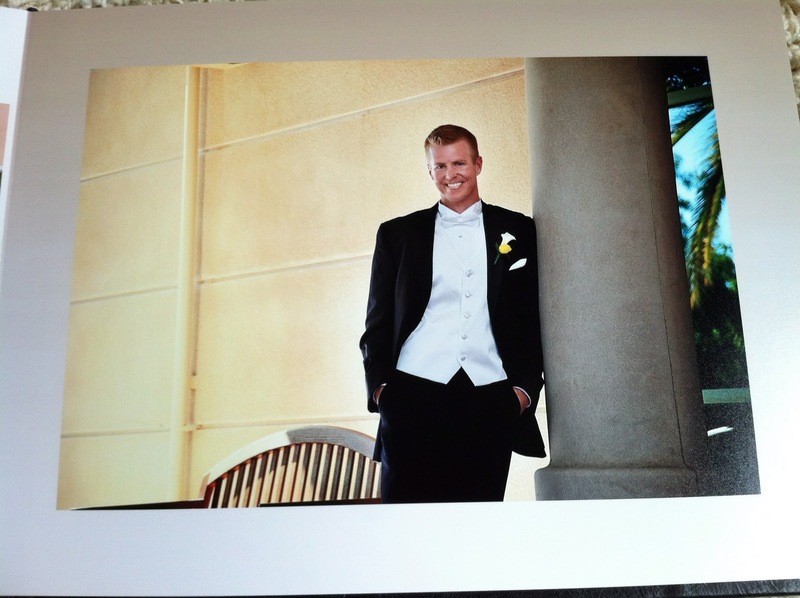 I am relieved cause I haven't done our wedding album yet (still trying to decide what company to use to do our flushmount album) but I do have the pics. Your pics look stunning! Love it!! Your blue shoe story will always be my fav! Beautiful! 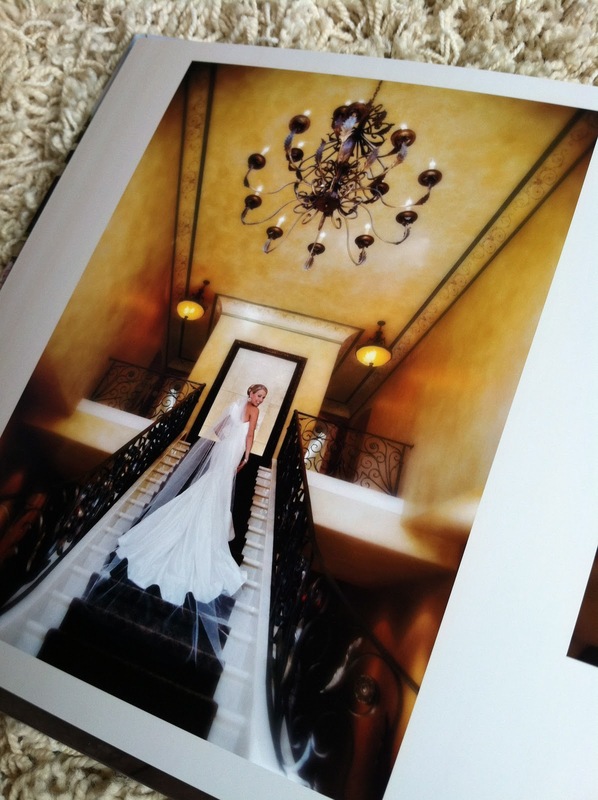 You have the most gorgeous wedding photos! 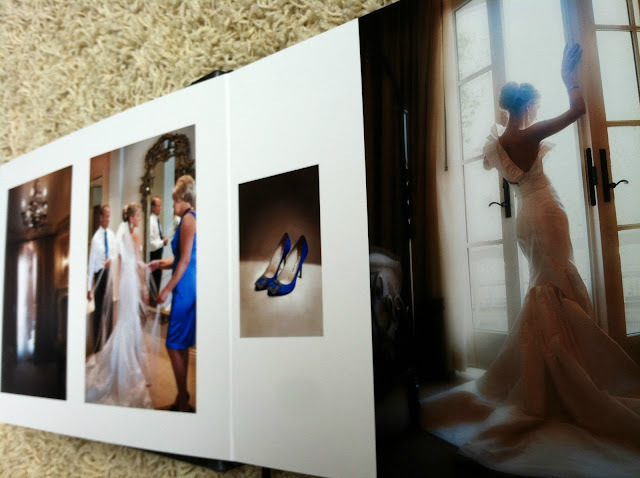 Your wedding pictures are stunning! The album turned out beautiful! Thanks for sharing! Talk about picture perfect! You 2 could be in a magazine! you were such a beautiful bride! your album looks amazing! I'll never get over your stunning photos Tracy! Gorgeous! It turned out great. :) Enjoy! Absolutely breathtakingly beautiful! I can only imagine how your hubby felt upon seeing you that day! I would definitely put the album in a common area that people can see. People always pick up our albums and flip through them, and this is one I would absolutely show off. Gorgeous! this is gorgeous!!!! my hubs and i got married seven years ago and still don't have an album. i'm a bit jealous!! love love love your album!! Just beautiful!! your photos are so stunning!! SO gorgeous! I can't wait to get our professional album...it probably won't be for a while, but still! So exciting! Beautiful!! I love your wedding dress. 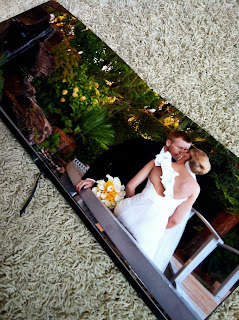 I have never done this...my wedding pictures are all still in digital form :(....maybe you have motivated me!! Stunning photos! That photo of your veil in the wind is too beautiful! :) What a fantastic day for a fantastic couple! Oh its so so beautiful! I still need to get mine made! You should keep it on the coffee table so everyone can see it! It came out amazing! I love it! What a beautiful wedding! 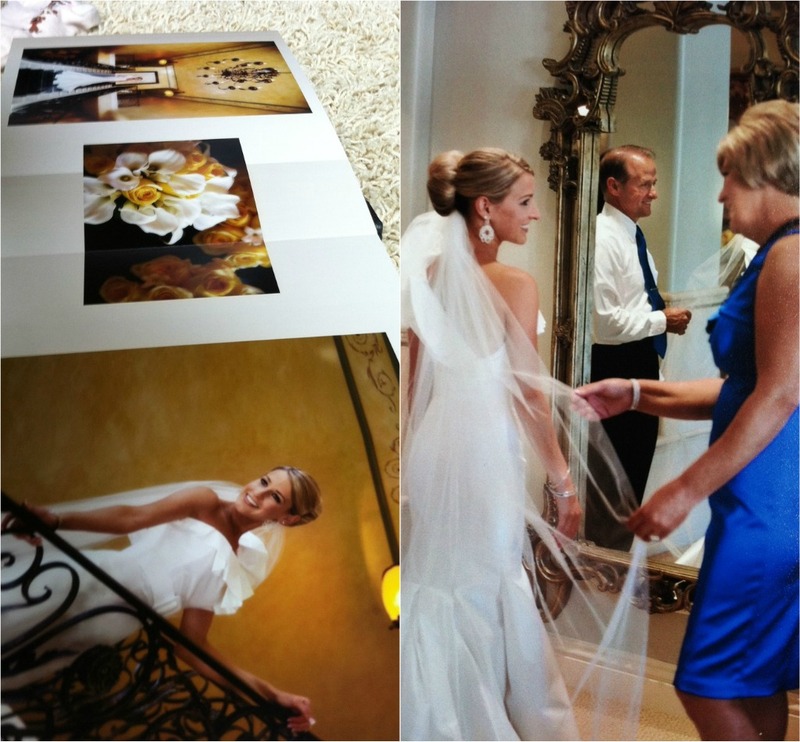 The photos look AMAZING!! I absolutely love your dress! We keep ours on a stand on the mantle above our fireplace... That way people can actually look at it when they're over. that first picture is amazing!! with your veil flying back...! and I'm in LOVE with your dress- I love one-shoulder dresses! !